Getting open shelves hung on a wall without any visible fastening, and still able to be site-scribed at installation time, can be awkward. I usually opt for aluminum channels and angles, recessed in the shelf backs, and the sides where applicable. 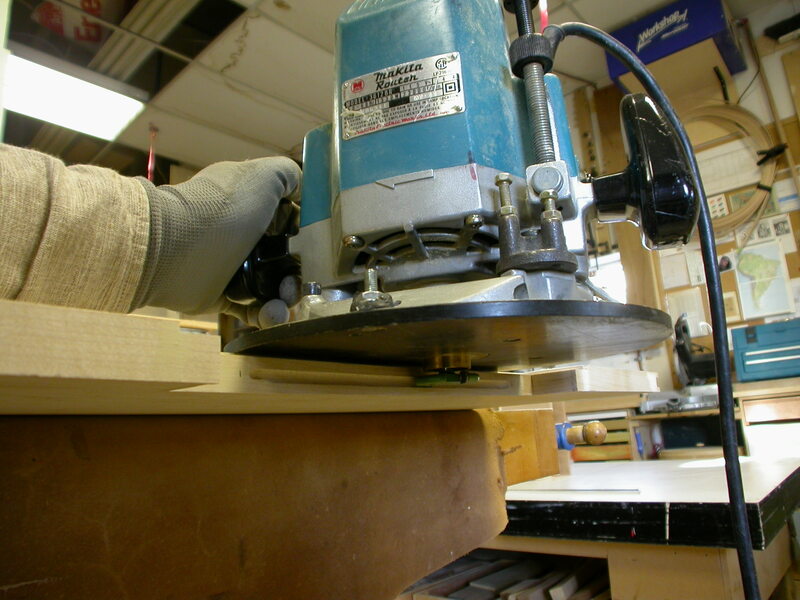 The deeper recess here allows for a bit of site fitting to the side walls, and also allows room for the heads of the screws (laziness, re: countersinking screw heads). 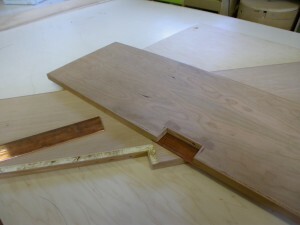 The scale shown here is a 25mm (1″) thick Maple shelf, with a 1/2″ channel. Now more metal, this time copper, a favourite. Partially because it does cut like butter with the right blade…. First a question: why not just buy some handles? 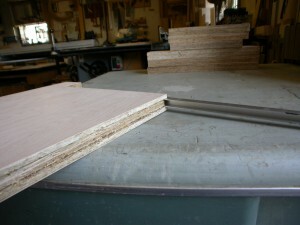 $8 a piece can see you proud, 5 to 10 minutes each to install, or way less if they’re all door handles. Good question indeed. I just like custom pulls so much. For this wall we have 35 mm wide cut-outs in the door panels, of varying heights to suit the door sizes. 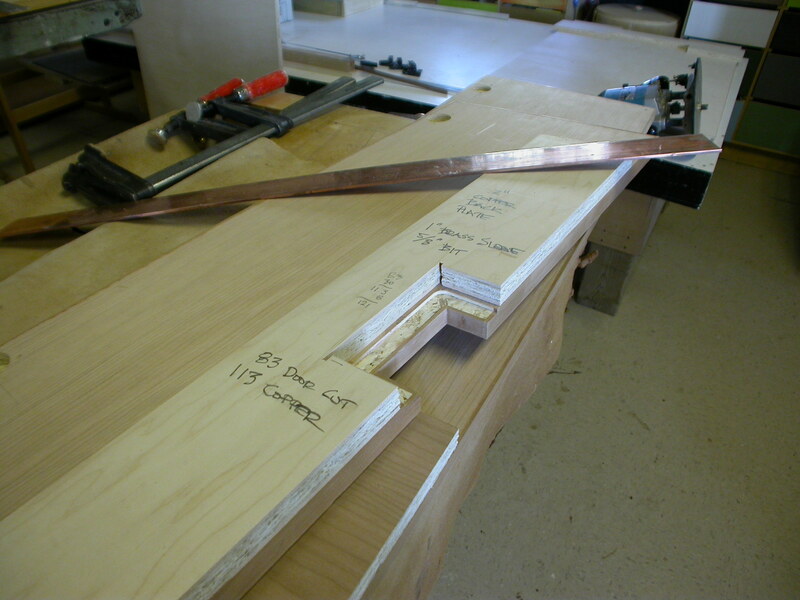 The resulting notch of course gets edged (doors are not solid, one being a meter wide) then recesses 3 mm deep are cut into the back face of the doors, into which fit 3 mm x 50 mm wide copper flat bar. 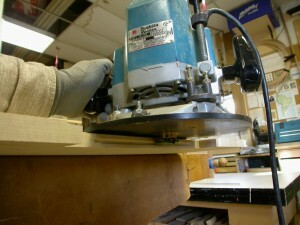 Before that, a shallow groove is run into the notched edge of the door for the actual handpull. Are we there yet? 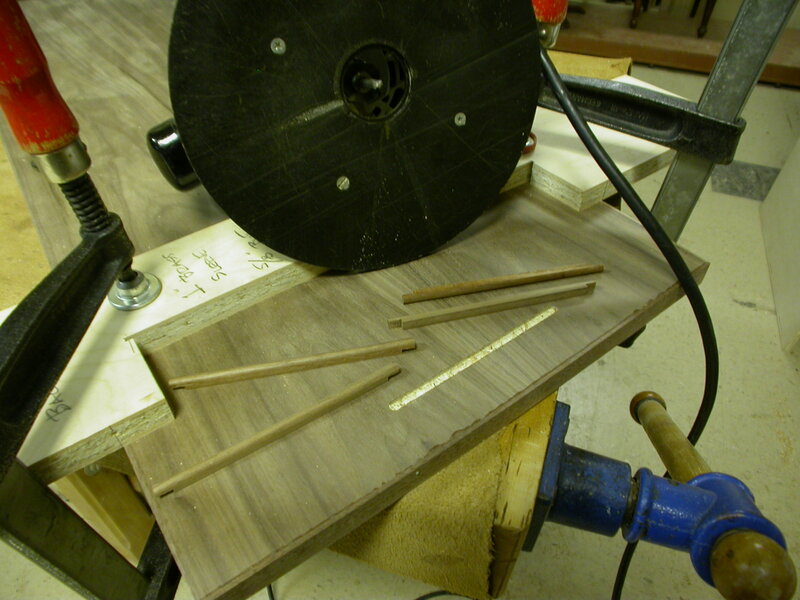 And almost-flush pulls for the sliding Walnut door panels. These will make sense when seen after installation.